Come 20 December, the new Sony PlayStation 4 game console will finally arrive here in Malaysia. 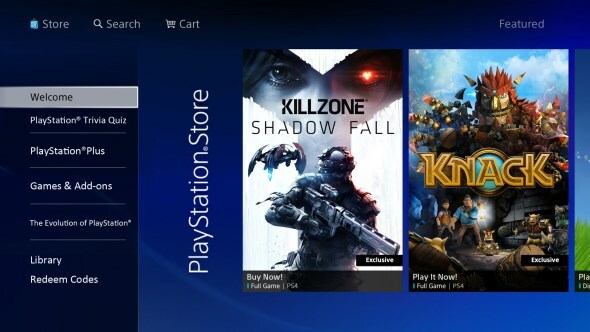 As expected, PlayStation Store is already gearing up to welcome Malaysian gamers and Sony Computer Entertainment Japan Asia have recently published a list of titles that will be made available to Malaysian PS4 owners on the online store. 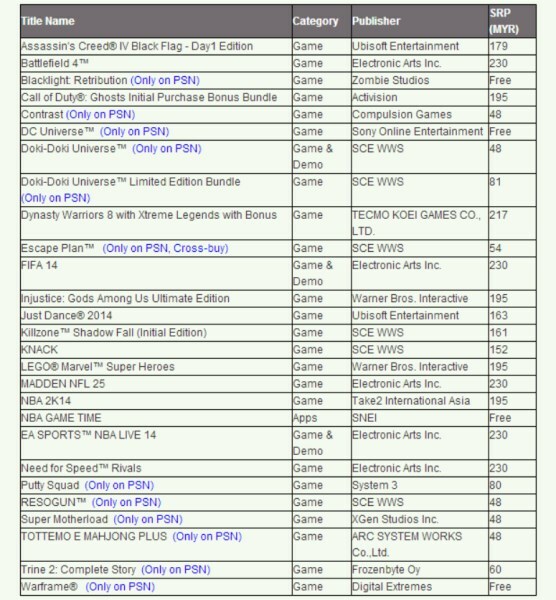 While the pricing seems to be align with what SCEJA have previously stated in the PS4 FAQ, I’m slightly baffled and concerned with some of the titles though – specifically, those from Electronic Arts. All of their PS4 games such as Battlefield 4, FIFA 14, Madden NFL 25, NBA Live 14 and Need For Speed Rivals are all priced at RM 230, making them as the most expensive titles in the list. Some might feel that RM 230 price tag for these games is not far off from their US price list of USD 60 (RM 194) and certainly not as bad as the folks in UK who have to fork out GBP 60 (RM 317) for EA’s PS4 games, it seems hard to justify paying more than RM 200 for a digital copy. Furthermore, the only non-EA title in the list above that costs more than RM 200 is Dynasty Warriors 8: Xtreme Legends (priced at RM 217) and even that, the game will actually come together with extra contents. Hence, I do wonder if the high price tag is exclusive to EA alone or if other publishers will follow suit soon. Nevertheless, which of the titles above will you actually purchase for your new PS4? Let us know through the comment section.